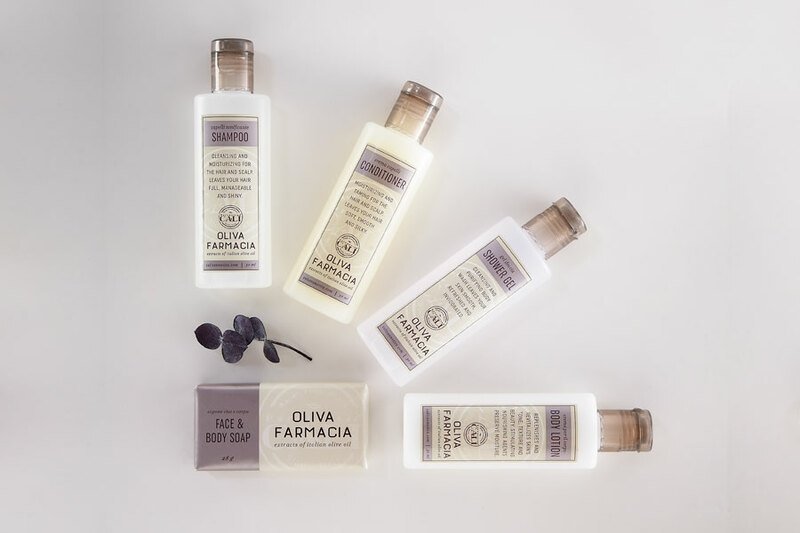 Oliva Farmacia combines the oldest ideas on how to live healthy to create a truly refreshing experience. This apothecary inspired line features a calming metallic lavender and ivory color palette. The bottles have easy dispensing flip caps and are made of soft touch, squeezable PE making them readily recyclable. Each product contains the unique fragrance blend of spicy Ginger Root and zesty Bergamot. Soothing formulas feature moisturizing olive oil, the oldest remedy, that will leave your skin beautifully toned and smooth. 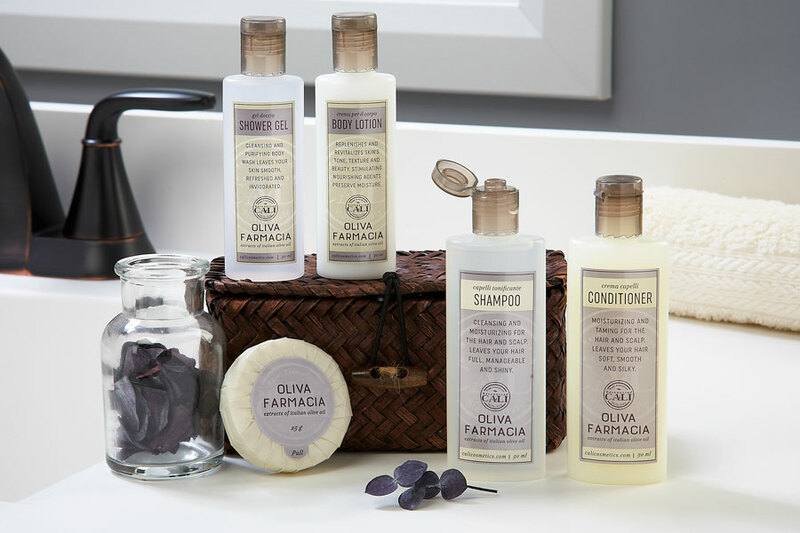 Baronessa Cali Oliva Farmacia was inspired by ancient remedies and the powerful ideas they created. Please check out more from Cali Cosmetics at calicosmetics.com. Shower Cap is easily recyclable and features EcoPure. “The Farmacia has always been a significant part of my life.The oldest memory of my great grandmother, Nonna Geaziella, is of her taking me to my first pharmacy. It just so happens that this particular pharmacy has been open since 1221, in Florence Italy. My Nonna also proudly told me that the first public pharmacy was actually opened in Sicily and she would explain to me that it was very important to take care of myself BOTH inside and outside. Some of the oldest ideas of how to be and live healthy are still with us today. Olive Oil (the oldest remedy) has always been the cornerstone of my family’s beliefs. Parabens, Phthalates, DMDM Hydantoin, Urea, DEA/MEA/TEA, Propylene Glycol, Petrol or Coal Tar Derived Ingredients, Mineral Oil, Hydroquinone BHA, Octoxynol, Quaternium, Silicone Derived Emollients/Dimethicone, and Formaldehyde.